I just spent the afternoon in a refugee camp. This is the second year I have visited the project produced by Cumberland Council who’s community is made up of one of the largest refugee populations in the world, held at the grounds of the Auburn Centre for Community. Now in its fifth year the event is a simulated experience of a refugee camp with guided tours, interactive installations and artworks. Last year, I cried the whole way through and it wasn’t the statistics like, there are currently 65.3 million in the world who have been forcibly displaced from their homes, which is three times the population of Australia and 51% of those are children or that 34,560* people are forced to flee their homes. Every. Single. Day. It was the personal stories of our tour guides who knew first hand what the experience was like because they have lived it. 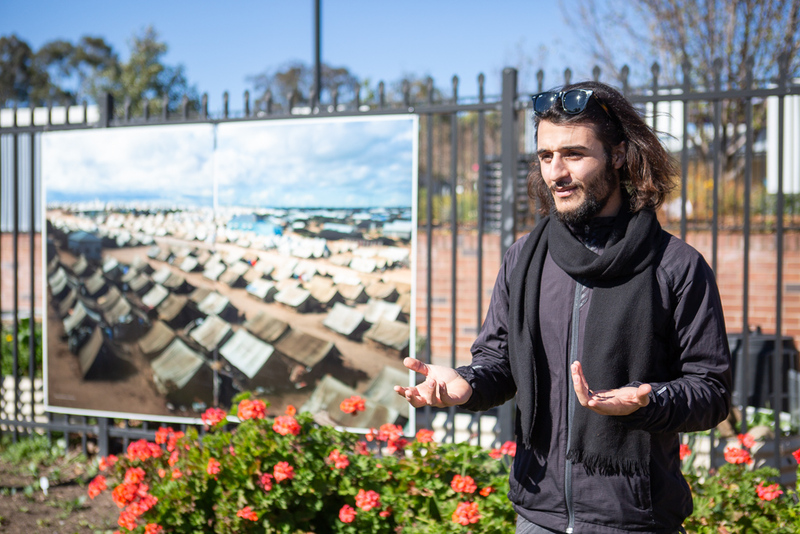 This year I was just as touched by the stories but managed to keep back the tears that were welling at the edge of my eyes and instead took a few hours to attempt to see the world through the eyes of our tour guides who are or were themselves asylum seekers and refugees. Which, but for the luck of being born in the right country could have been you or I. Yes this tour is confronting, as it should be. But it is also beautiful, raw and honest. The goal is not to make you walk away feeling terrible about the state of the world but rather to provide a connection to lived experiences that make you want to take action, whether that be through donating money, putting pressure on our governments or to simply yet powerfully listening to the story of someone who has suffered so much trauma yet still stands in front of us with a smile and welcomes us into their journey. This Saturday August 4th join the Auburn Community at the free event Celebration in My Neighbourhood, family friendly tours will run all day along with activities including soccer workshops, kite making, mural painting and African hunting and drumming circle and enjoy delicious food Bosnia, India, Sri Lanka, Sierra Leone, The Philippines, Egypt and South Asia. The event is FREE and Auslan tours are available to make sure you don’t miss out, please book here.